Horse riding on a warm and sunny day is much more enjoyable than on a cold day. However, we rarely wonder how our horses will deal with the temperatures. It turns out that their organisms do not deal with heat well. These animals prefer cold weather from the hot one. Spending too much time in the sun combined with physical effort may result in serious damage to his health. A very important issue is proper care of the horse during the heat. 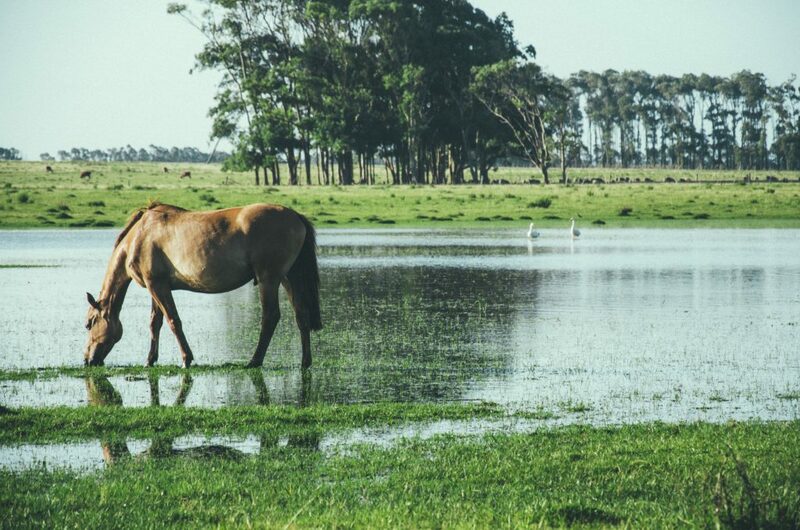 It is absolutely necessary for each horse on a pasture to have constant access to clean water. It is also worth providing the horses with some shadow, where they could hide when they have had enough of the sun. You should walk out your horses either late in the evening or early in the morning, when temperatures are not that high. However, you may not always be able to do so. Horses cool their bodies mostly by sweating. Along with sweat they excrete electrolytes, which are responsible for proper water absorption and functioning of nervous system. Training on hot days catalyses their excretion. Low level of electrolytes appears in a general low efficiency of the organism, and combined with physical effort might lead to its overload. This is exactly why you should administer electrolytes to your horse with a lot of water. Remember about proper dosing of training intensity for your horse, as he will tire a lot fasten on hot days. 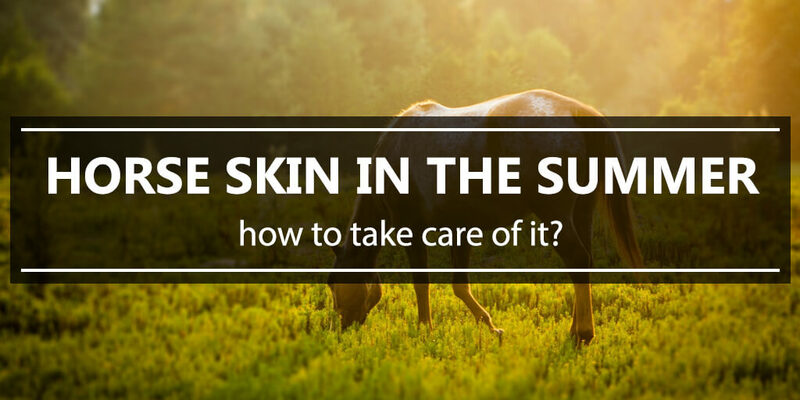 Another danger you need to protect your horse against are sunburns. They appear as red spots on the skin and they discharge serous fluid. 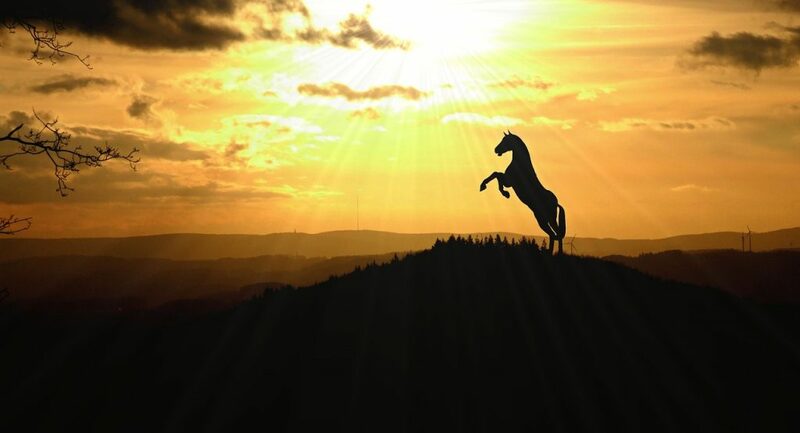 You should never leave your horse in the sun for an extended period of time. It can result even in a stroke. The most vulnerable part of the horse’s body is his head, which is why its area is one of the most common areas of sunburn appearance. Another problem during the heat outside are lots of insects that may sting your horse. The stings and bites can cause various allergic reactions and skin damage that may later become painful. In order to protect your horse you should use preparations or proper equestrian accessories such as fly rugs or fly hats with masks. 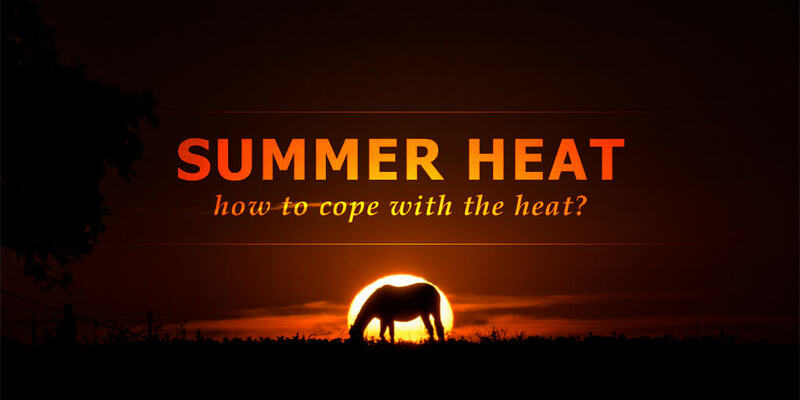 Don’t forget that the most important matter during the heat outside is reasonable planning of your horse’s grazing, training and adjusting its intensity. That will help you protect your horse against a serious health harm.